Democratic equality entails a principle that everyone whose basic interests are affected by policies should be included in the process of making them. Yet individuals and groups often claim that decision making processes are dominated by only some of the interests and perspectives in the society. What are the ideals of inclusion through which such criticisms should be made, and which might guide more inclusive political practice? This book considers that question from the point of view of norms of democratic communication, processes of representation and association, and how wide the scope of political jurisdictions should be. Democratic theorists have not sufficiently attended to the ways processes of debate and decision making often marginalize individuals and groups because the norms of political discussion are biased against some forms of expression. Inclusion and Democracy broadens our understanding of democratic communication by reflecting on the positive political functions of narrative, rhetorically situated appeals, and public protest. It reconstructs concepts of civil society and public sphere as enacting such plural forms of communication among debating citizens in large-scale societies. The book considers issues of the scope of the polity at two levels: global and local. The scope of a polity should extend as wide as the scope of social and economic interactions that raise issues of justice. Today this implies the need for global democratic institutions. 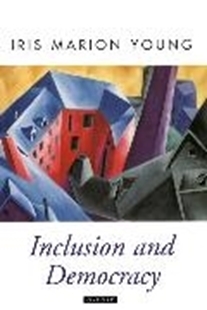 At a more local level, processes of residential segregation and the design of municipal jurisdictions often result in the ability for actions in one locale to affect those in other locales without those making the decisions having to include some of those affected in the decision making process. Metropolitan governments which preserve significant local autonomy may therefore be necessary to promote political equality.